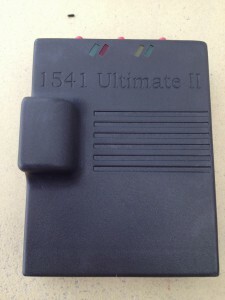 This is one of my most valued hardware add-on units to my Commodore 64s: The ‘1541 Ultimate II’ from Gideon’s Logic Architectures. 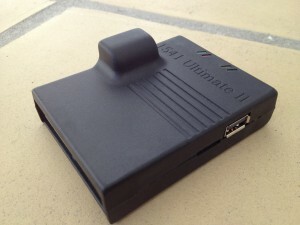 The unit is a storage solution for the Commodore 64 and 128 home computers. As it emulates a ‘real’ Commodore 1541 floppy diskdrive, pretty much all program, games, music and demos that work on the original floppy drive works on this device. All programs can be loaded from USB devices or from the internal micro SD drive. The cart has a licensed JiffyDOS ROM file installed from Retro Innovation, so I get the same loading speeds as on my old, JiffyDOS modded, Commodore 1541 Diskette Drive. 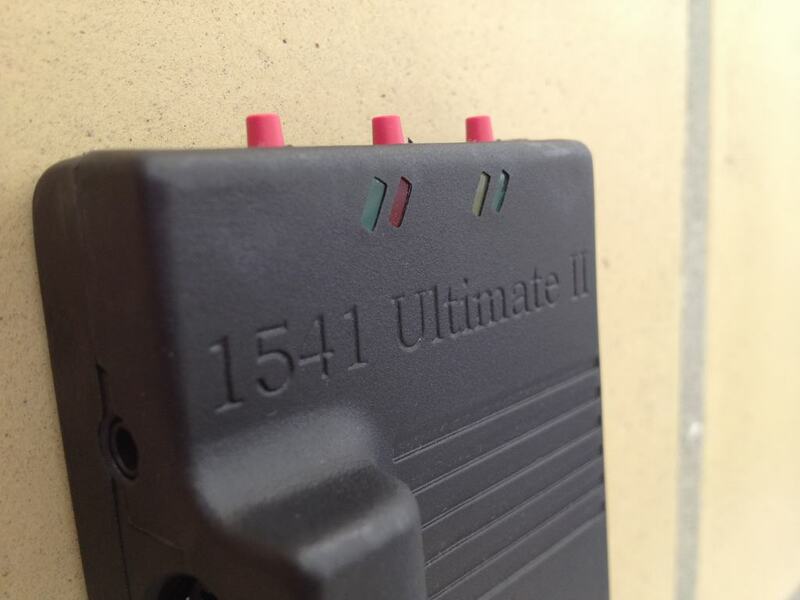 NOTE: It is important that it is the 1541-II.bin JiffyDOS ROM that is installed to get it to work. 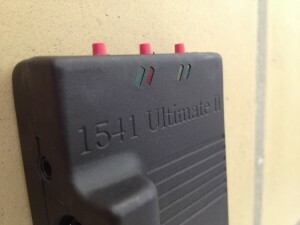 The red buttons on top of the device give access to all the functionalities offered by the firmware. 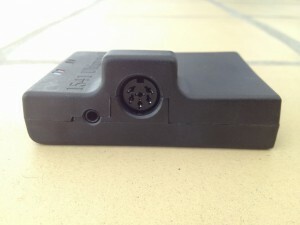 This is where the connection to the IEC port of the C64 is attached. This is where a USB stick or a network solution can be attached. The small horizontal slot, next to the USB port, is where the micro SD card goes into the unit.